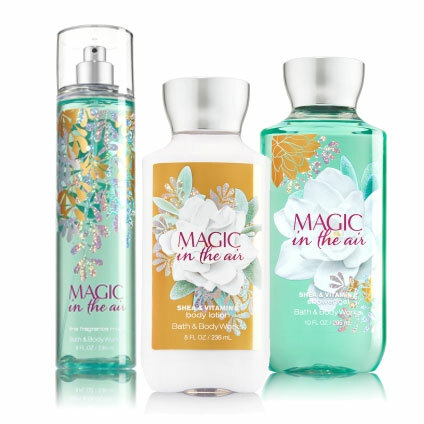 Magic in the Air by Bath & Body Works - A floral gourmand fragrance collection with perfume notes of whipped vanilla, almond flower, and white iris. 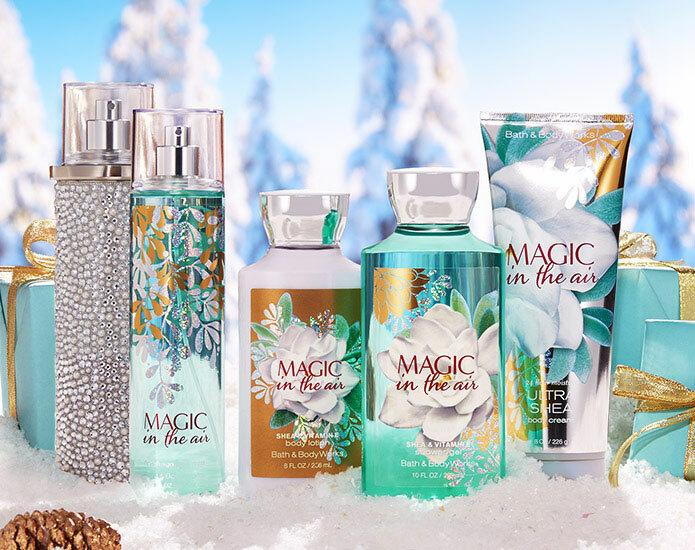 Available in fragrance mist, shimmer mist, scented body wash, lotion and body cream, and candles from Bath & Body Works stores. "A wonderous blend of almond flower, white iris and whipped vanilla bourbon. 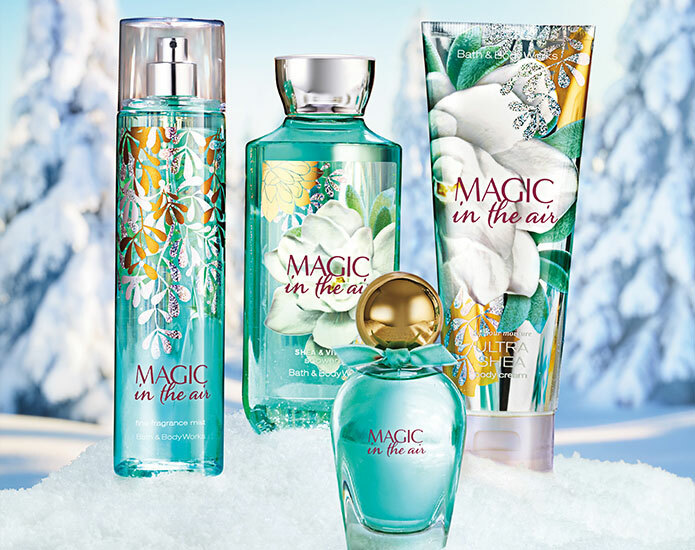 An enchanting Christmas fragrance!"